Timo Glock will leave Marussia for 2013. He had a contract until 2014, but Marussia has financial problems so they need a driver that has sponsors and money. Caterham also needs a paydriver and Force India could do a deal with Adrian Sutil. So doesn’t look like Glock will be in a F1 cockpit this year, but he still wants to do Motosport. 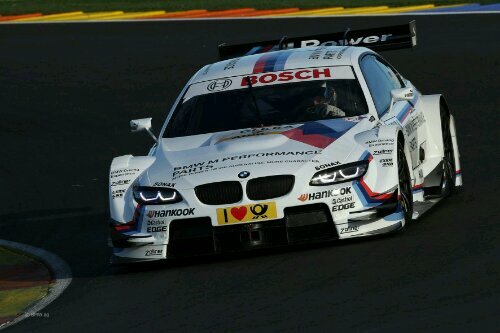 It looks like he could drive in the DTM. BMW, Mercedes and Audi have free cockpits, but it’s looking like he will drive for BMW. He was testdriver for BMW Sauber in 2007, so he knows the people there. But a comeback to F1 is currently unrealistic. 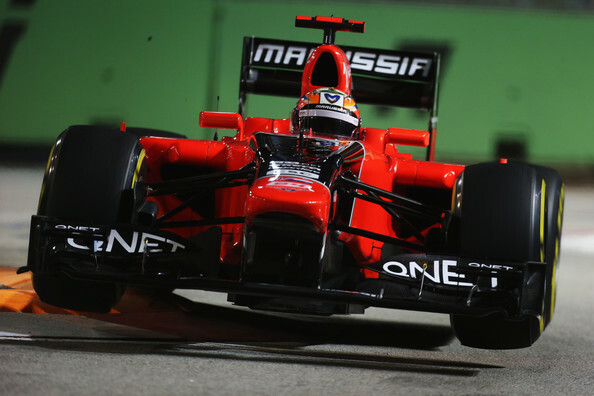 Max Chilton will make his Formula One race debut for Marussia next season, the MArussia F1 team has confirmed. Max Chilton will partner Timo Glock next year, replacing Charles Pic who will be driving for Caterham next season. “It’s hard to put into words how I’m feeling today,” said Chilton. Chilton, 21, drove for the team during the first practice session for the Abu Dhabi Grand Prix this year, as well as at the Young Drivers’ Test sessions. He spent the last three seasons in GP2, finishing fourth in this year’s championship with two wins for Carlin. He is the younger brother of World Touring Car Championship driver Tom Chilton. Marussia F1 team principal John Booth said: “We have spent a significant amount of time evaluating his performances during 2012, both in our own car in a testing situation and also from the pit wall as we monitored his progress alongside the other members of our junior talent pool during Grand Prix support races. Sebastian Vettel was fastest again in FP2 with a 1:26.221s, he drove with the softer compound, other drivers drove with hard compound. Teammate Mark Webber was 0.018 Seconds behind Vettel on P2, o.599 Seconds behind Vettel was title rival Alonso. Felipe Massa spun twice in FP2 and was ending in 15th Position (+2.075). Sergio Perez was coming back into the Sauber Cockpit and ends in 12th Position (+1.957) ahead of Michael Schumacher (+2.001). Timo Glock drove to 22nd (+4.892), this time he was faster than his Teammate Charles Pic (24th/+5.272). He didn’t even score a point, but Timo Glock’s performance in Singapore on Sunday could be worth as much as EUR 10 million. 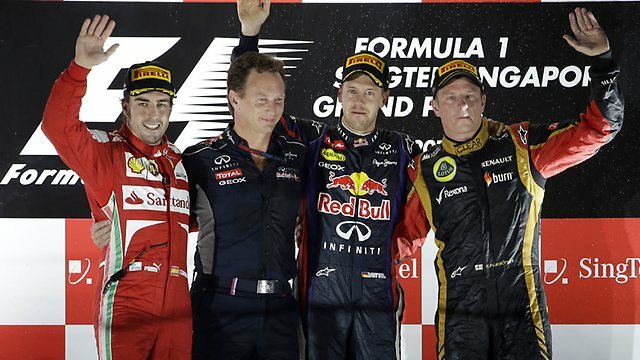 The experienced German finished twelfth, which betters Caterham’s best 2012 finish of 13th place at Monaco. Marussia therefore leapfrogs its green-coloured rival to take the all-important tenth place in the constructors’ world championship with six races still to go. “We do of course need to hold on until the end of the season and I hope we can,” said Glock. He is referring to the confidential Concorde Agreement, under which the sport’s top ten teams share a lucrative prize pool. Bild said Marussia’s total budget for 2012 is only about EUR 40 million. Glock, meanwhile, said he is staying put for now. “I have a contract (with Marussia) until 2014,” he revealed. Timo Glock’s nightmare form is back. In June, we reported that the highly-rated German was at war with the team’s 2012 car — outpaced by rookie teammate Charles Pic and certain something was fundamentally wrong with his chassis. Then, the mystery seemed to be solved when a flaw in the rear suspension wishbone mountings were fixed. At Monaco, he looked back in the game, but more recently the bad form has crept back in. Marussia even decided to give him an entirely-new chassis for the Hungary weekend, but in Budapest he was outqualified and outraced by the sister car, complaining bitterly about the handling. Glock said the designers and engineers are at a loss. He admitted that Marussia’s technical collaboration with McLaren has not yet borne any fruit. “I had hoped that we would get closer, but right now it’s not the case. “But at the moment that’s not the most important. What is (crucial) is why I’m losing almost a lap to my teammate,” said Glock.